By now you know A2 Aesthetic & Anti-Ageing Magazine prints four issues each year – one in March, June, September and December. 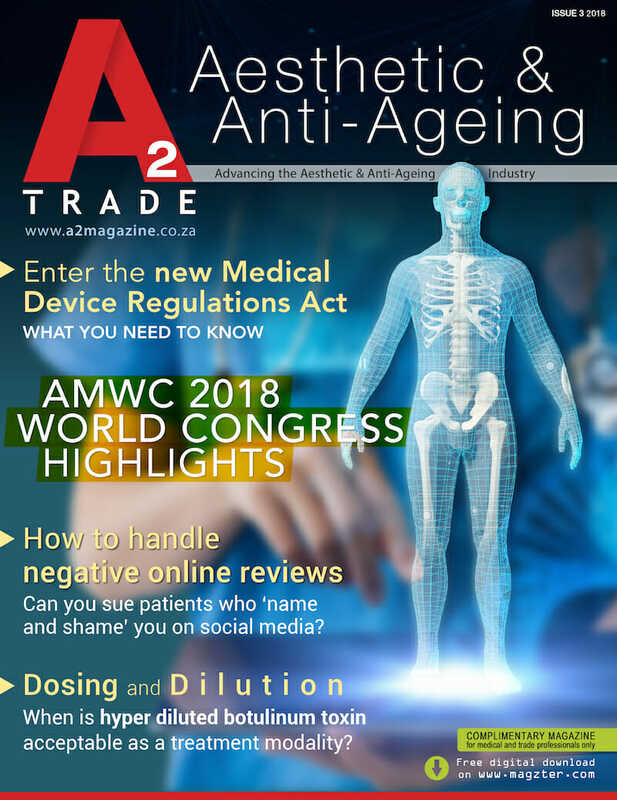 The normal A2 Magazine is focused more toward the consumer on aesthetics, anti-ageing, skin care/dermatology, integrative medicine, cosmetic dentistry and cosmetic surgery. It’s available in Dis-Chem, Clicks, Spar, Exclusive Books and CNA stores nationwide, plus all the high-end business class lounges in Johannesburg, Cape Town and Durban local and international airports. PLUS, we sell soft copies of the mag through our app available on the Apple and Play stores. 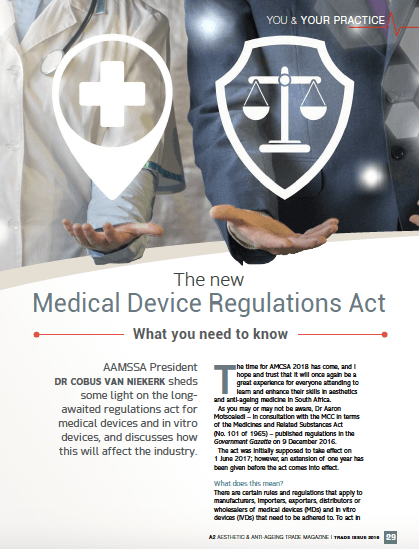 But NOW, it’s that time of year where we publish our A2 Trade Magazine – this fifth issue of A2 is for doctors and medical professionals only and is not available for sale in stores or to the general public. How am I reading this then?? 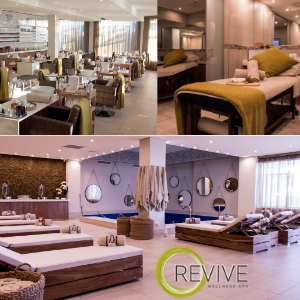 Thanks for asking :) We provide this A2 Trade Magazine at local medical congresses in South Africa (within the aesthetics industry), plus it is privately couriered to our list of doctors and practices nationwide for free! 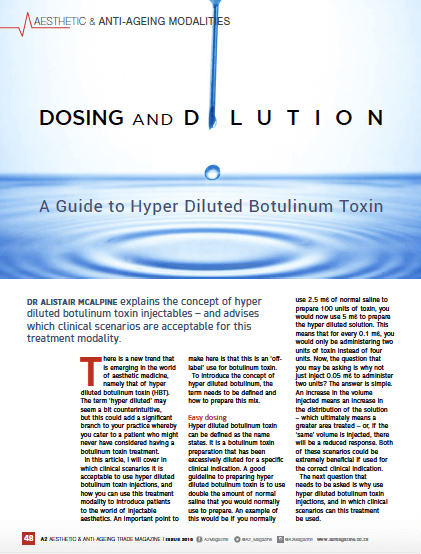 We also have soft copies available for doctors to download for free and read on any device (including your computer). If you haven’t already been sent a copy or received one in a congress bag, then please ask us to courier one to you (it’s free!) 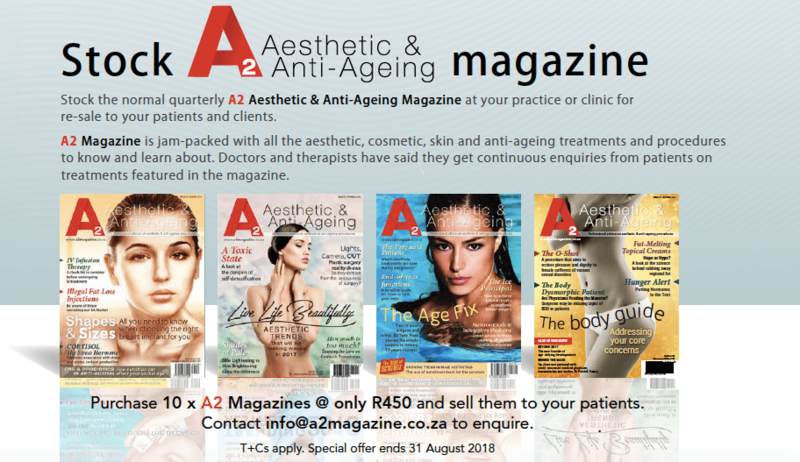 – email info@a2magazine.co.za – we require physical addresses only, no PO Boxes. HOWEVER – it’s important to know that 1. Stock is limited, once print copies are finished, they’re finished. And 2. Free delivery is only within South Africa. Ps. 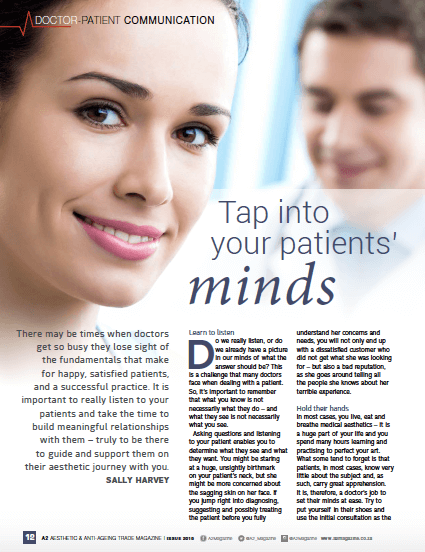 Because we only print one trade mag a year, we advise doctors to keep their copies in a keepsakes space. How can I get a soft copy to read on any device? That’s easy! Doctors and Medical Professionals can download the Magzter App from your iTunes or Play stores. Once you’ve got the app, search “A2 Trade Magazine”– and our free trade magazine should pop up. 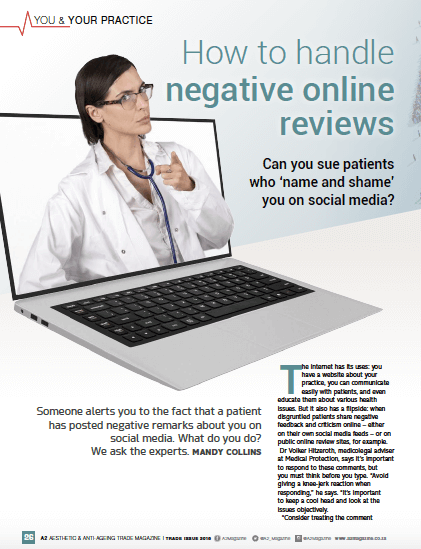 Doctors will need to sign up and log in to be able to get the free digital copy. We launched the A2 Trade Magazine in 2016 with humble and resounding success, and now in our third year of this annual issue, we are ecstatic at its continual growth and positive feedback from the industry. Since this is a Trade-Only publication, the feature content is naturally focused on innovations, techniques and trends in the aesthetics and anti-ageing industry, for the sole purpose of providing medical professionals in this field with information including new technologies and products available. 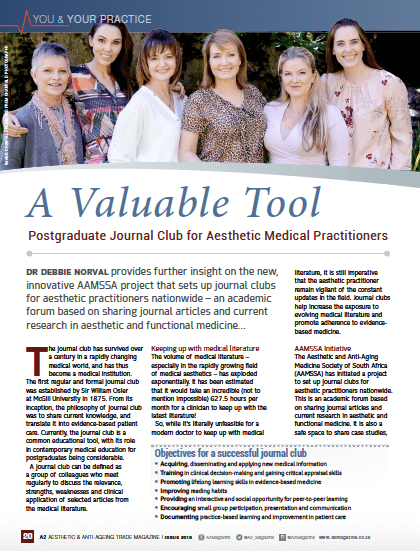 We therefore source topic ideas from various local congresses (based on lectures given by the doctors), news from various plastic and aesthetic associations – as well as updates from international workshops and topic suggestions from selected physicians. With all that in mind, we are sure you’ll enjoy this issue of A2 Trade Magazine and are looking forward to our next one coming out in May 2019. Until then, please do feel free to stay in touch with us, send article recommendations to info@a2magazine.co.za or just send us big boxes of chocolate… for medical purposes obviously. Pfft. Lastly, don’t forget to stay up to date with our normal quarterly A2 Magazine available in stores throughout the year, they make for great reading too, as well as being nice extras for your patients to read and take home #justsaying.